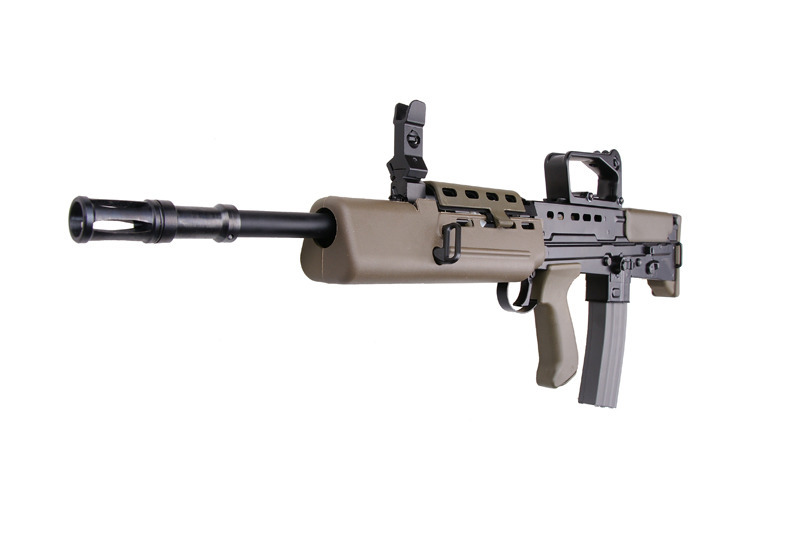 This is the newest A2 version of the L85 model of the G&G company and is equipped with an functioning blow-back system and a new gearbox. 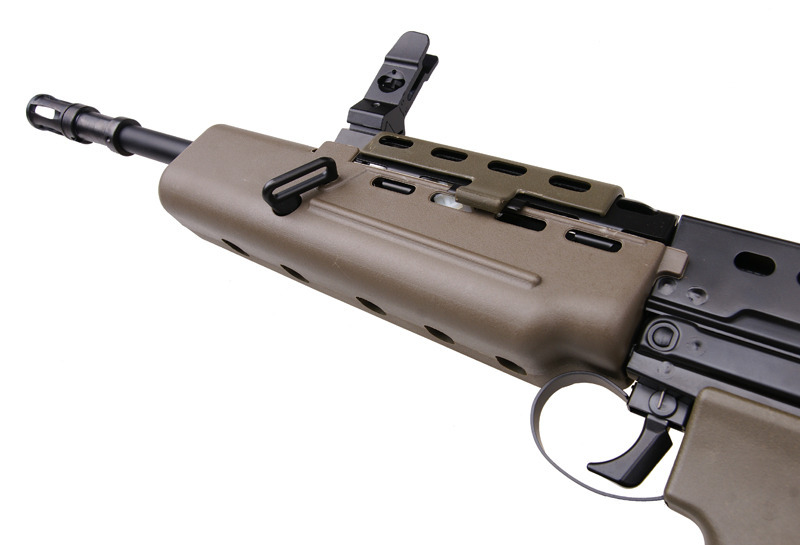 The manufacturer of the new version modified the shape of the cocking lever and added magazine release button guard thanks to which the shooter does not have to fear an accidental removal of the magazine. The replica’s body bears the markings of the original firearm. 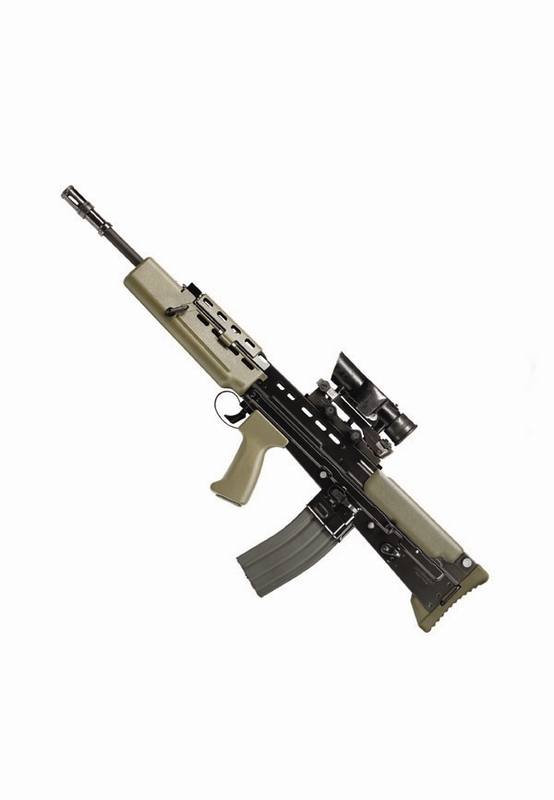 As it befits the G&G company the replica is characterized by a perfect make with very high attention to detail. 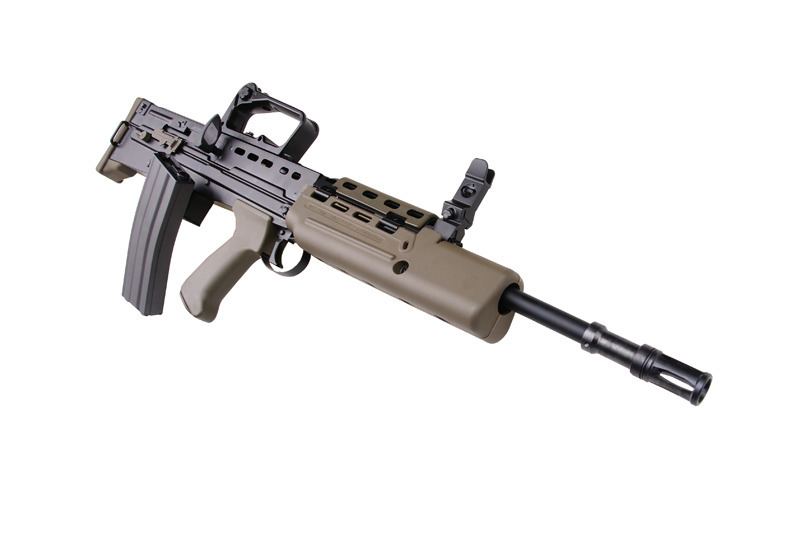 The replica’s body, the flash-hider, the magazine and some other minor elements are made of steel and the parts such as the front grip and the pistol grip, the cheek-pad and the dust-cover (just like in the original firearm) are made of durable plastic. 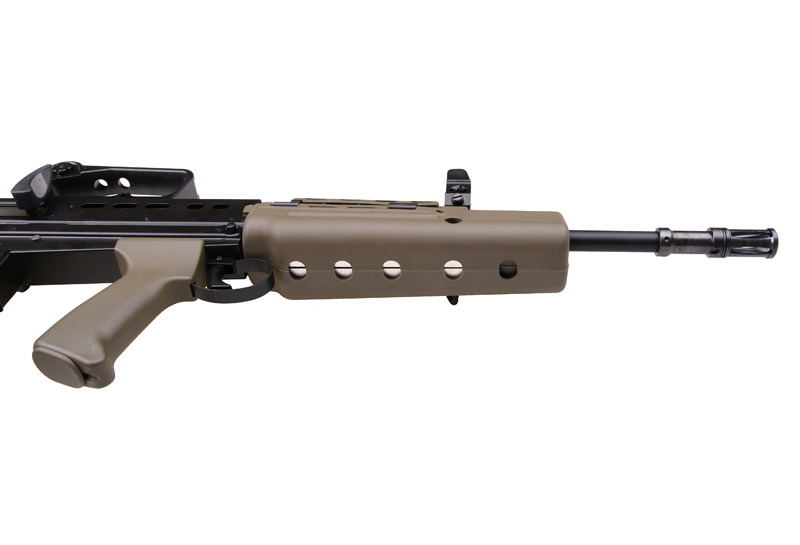 The stock’s foot is made of rubber and thanks to this heavy, but perfectly balanced replica does not slip from the arm. 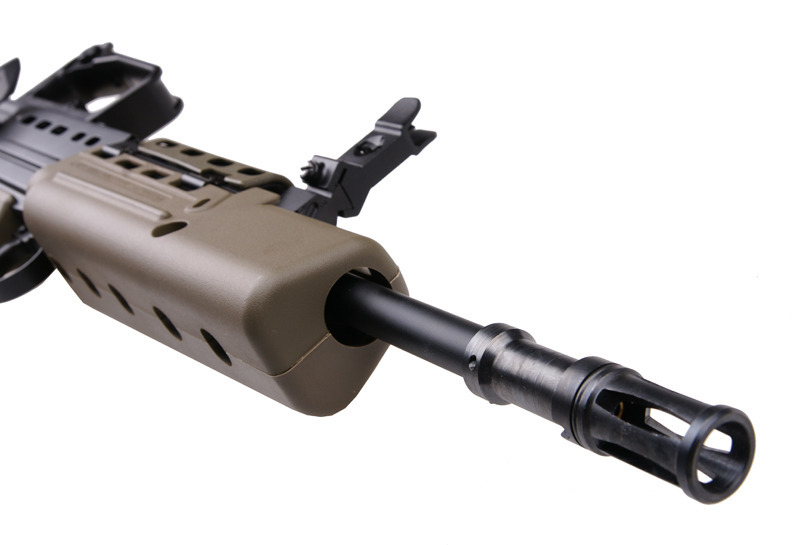 There is a compartment in the pistol grip that allows to carry tools or other minor objects. 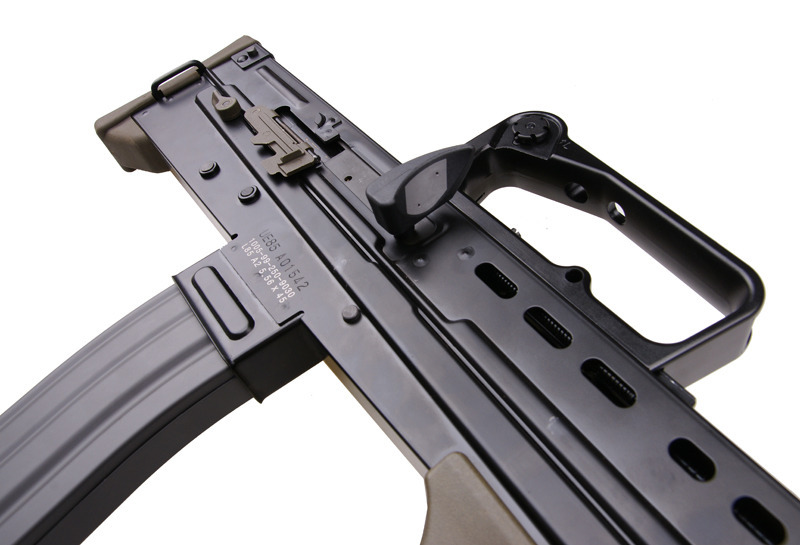 Each replica is equipped with its own individual serial number that is engraved on it. 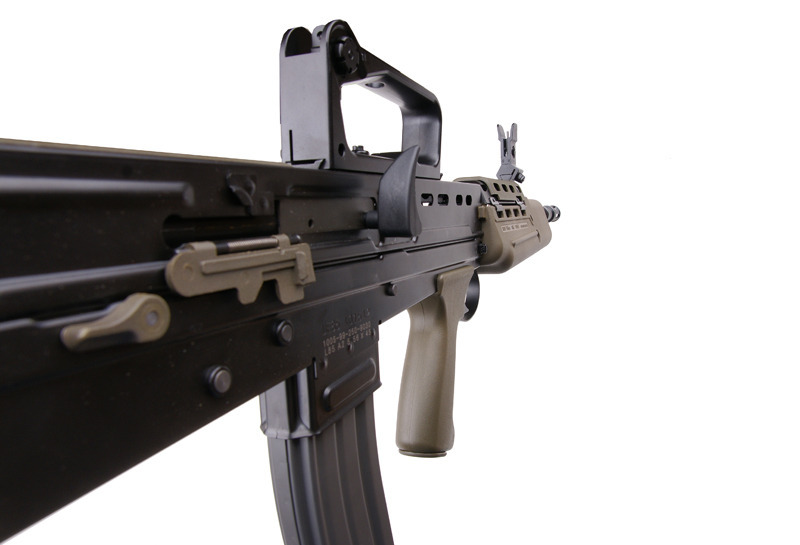 The front-grip bears the RIFLE 5.56mm G&G L85A2 1005-99-966-6470 markings. 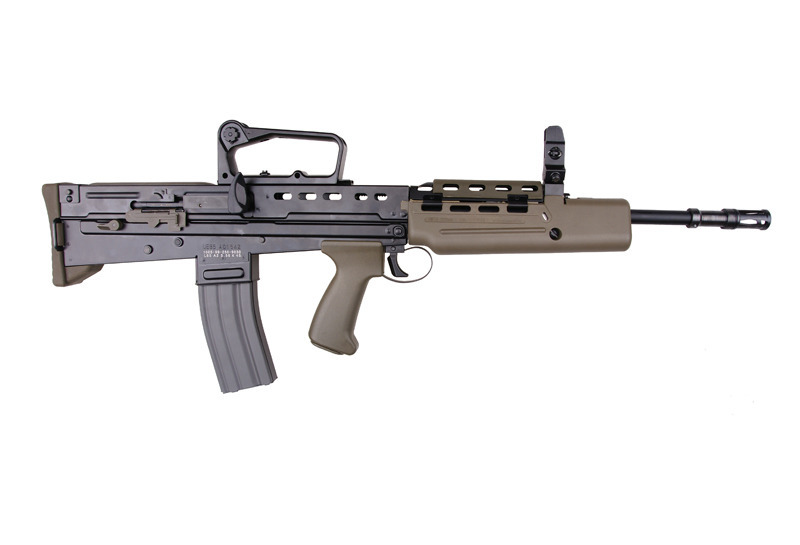 As every stockless construction the G&G L85 A2 is a firm and handy construction. 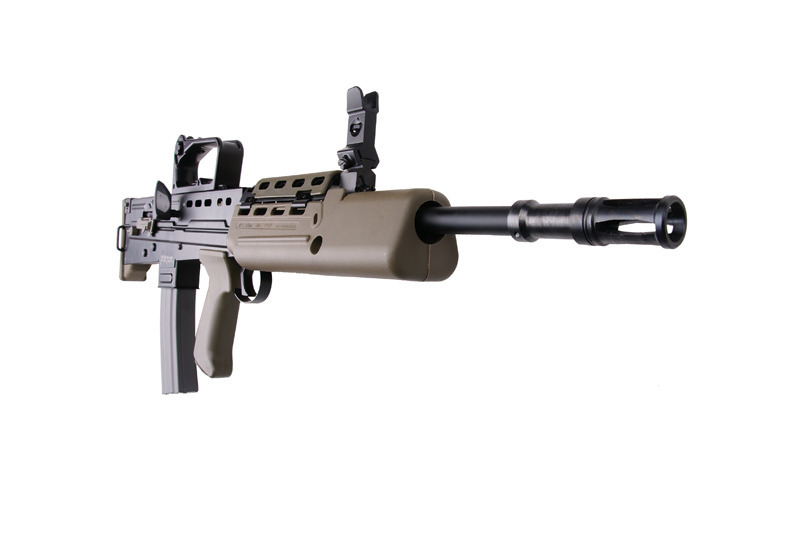 It is perfect for CQB encounters, but thanks to the 510mm long barrel is will also do just fine on great distances. 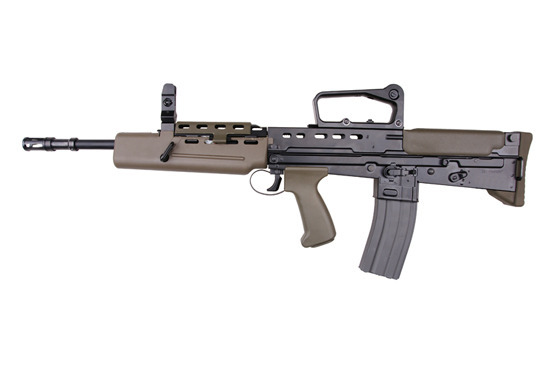 ESTOY INTERESADO EN LA LINEA SCAR VFC O G&G AEG…. QUE DISPONIBILIDAD TIENEN Y DE QUE SERIE EN EL MOMENTO??? Buena tarde están por llegar de nuevo dentro de este mes o mediados del otro junto con el valor o precio por lo del dolarcualquier informacion al 3188163209 y whatsapp. Buen día ya llego esta? 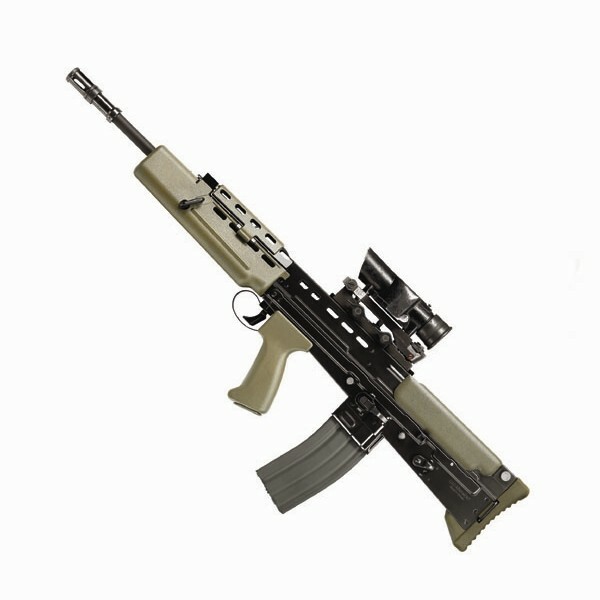 y el garand? buena tarde están por llegar a mediados de este o al otro mes mi cel 3188163209 y whatsapp..